The Empress loved horses. From the careless days in her fathers house, through the melancholy and sad years of the court life in the city, the Empress always spent long hours with these grand animals. Her father- Duke Max- had a small circus arena built, where he could perform circus acts with horses. (This, of course, was not appreciated by the Archducess, whom thought it to be a bit too eccentric.) When the Empreee became ”The Mother of the Country”, she was not expected to continue riding in such extent and such manner as she was used to. However, she didn´t let the conventions and rules of the court and the Archducess to come between herself and the horses. The Empress would continue riding throughout her life and she became a very scilled equesterian. 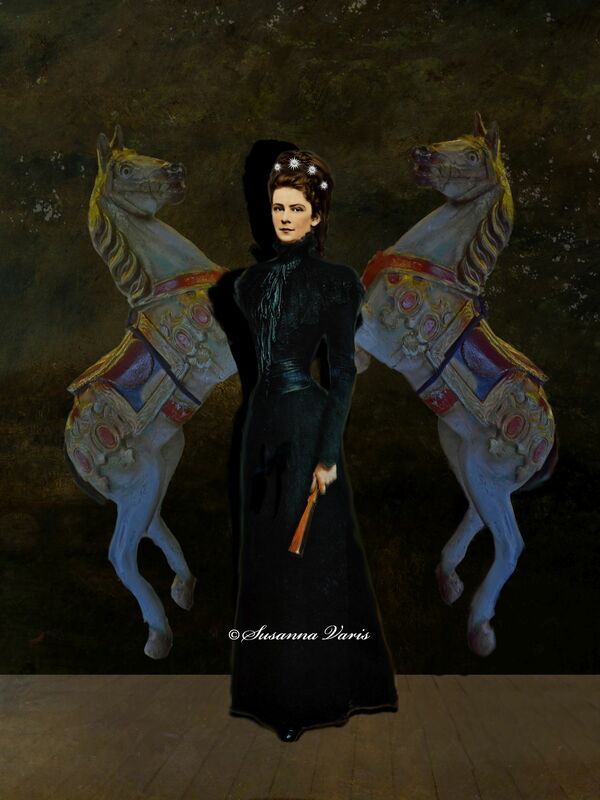 Det här inlägget postades i Egna verk, goth, historia, Konst, kultur, lowbrow, pop surrealism och har märkts med etiketterna art, austria, digital, digital assemblage, empress elisabeth, empress elisabeth of austria, empress sisi, habsburg, horses, konst, lilycrow - art of susanna varis, luisa casati, österrike, sisi, sissi, the tale of the empress, vienna, wien. Bokmärk permalänken.